Hampton's Home Living at Paddington makes the best of the winter blues. 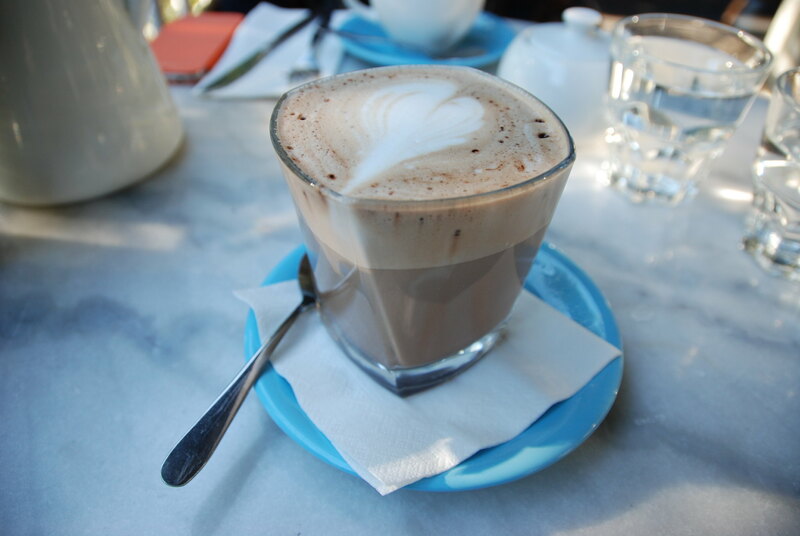 With a name that is not suggestive of it being a restaurant, Hampton’s Home Living is one of those cute Paddington Cafés that every Brisbanite is fond of. Having wanted to try it for a long time, Enn and I had to the fortune of dropping in on one of its not so busy weekdays. 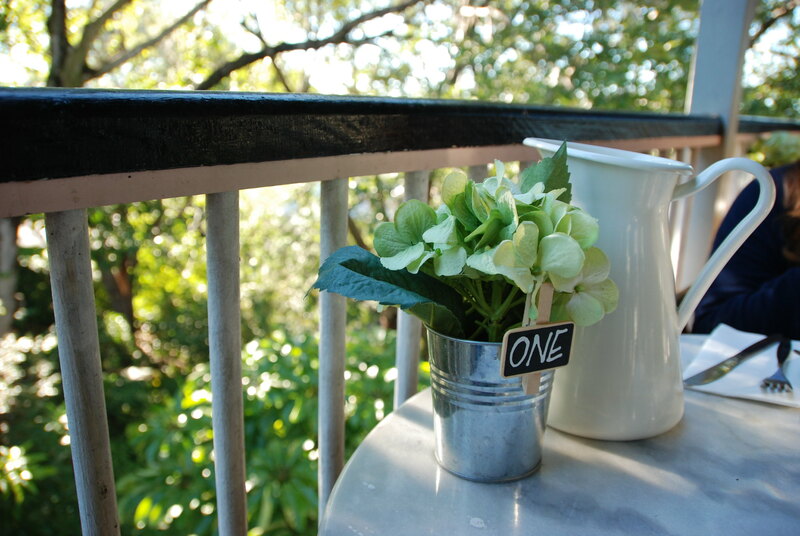 Finding a tiny table on its outside balcony overlooking a mini forest and Brisbane city in the background, we sheltered our bodies from the chilling Winter morning by sitting nearby the door which was open to the heated interior of HLL. 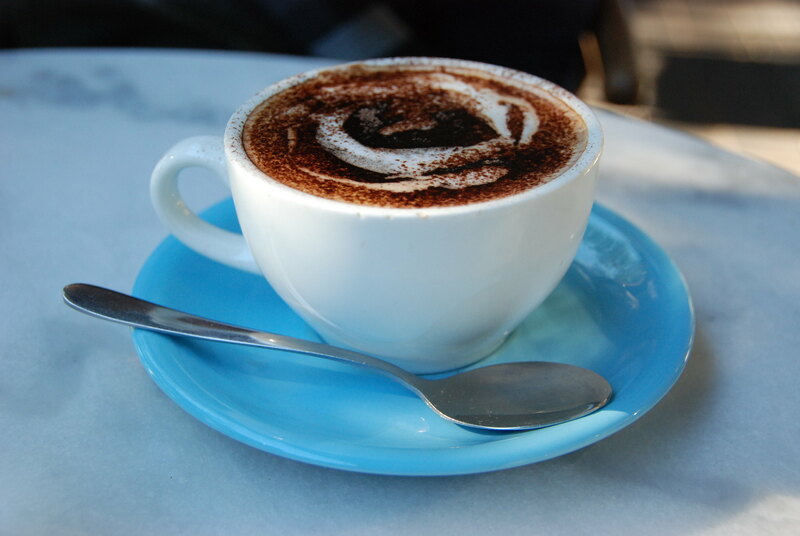 In order to ward away the Winter chills, Enn sipped a velvety and rich cappuccino, from a cute white mug with a blue saucer, a pairing that Enn wants to mimic in her China set, and I had a warm mocha, which lacked the chocolate flavour I crave, but was still satisfying in its warmth. Enn added a Hampton’s Full Breakfast to her order and I tried the Savoury Mince on toast. 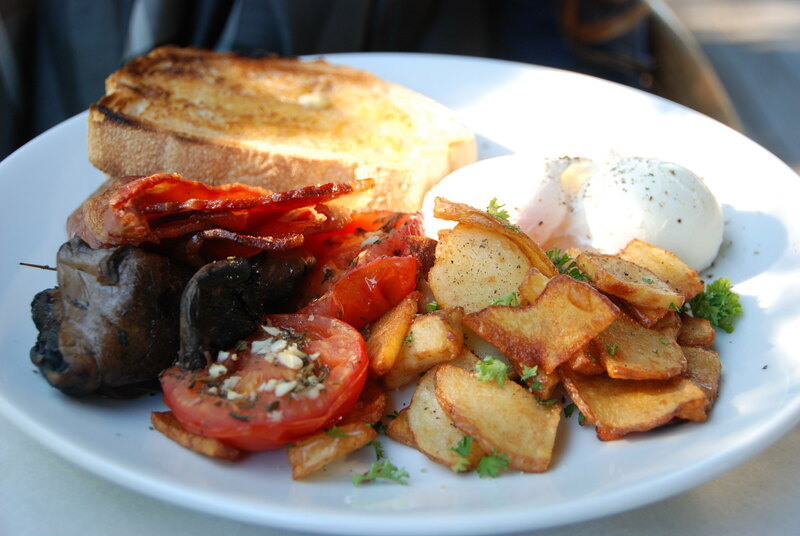 The full breakfast featured all your morning favourites and was a hearty and delicious start to the day. 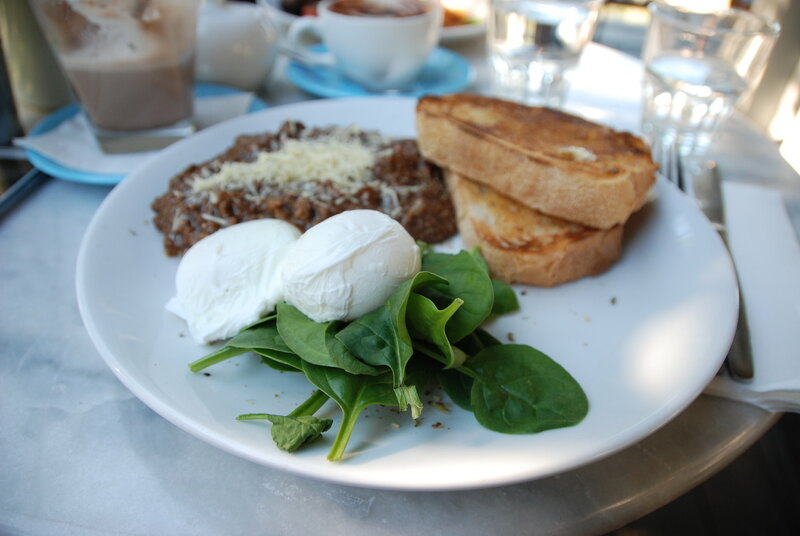 There was nothing noteworthy about the breakfast and I expected a little more adventurous flavours from a restaurant that is famous for its breakfast menu. As a savoury mince first-timer, I’m not sure what I was actually expecting. 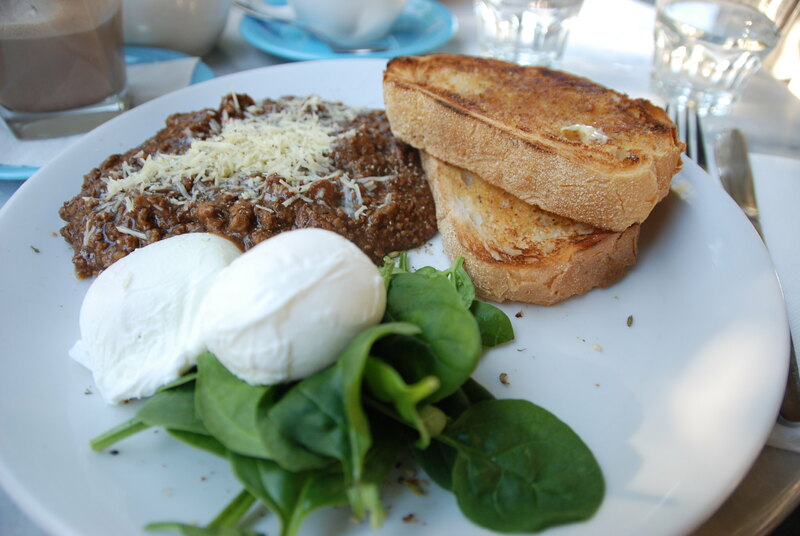 The mince came served on a plate with some spinach, poached eggs, half a grilled tomato and some toast. The mince was delicious albeit a bit salty after eating more than a few bites and the combination of all the added ingredients was good. Again, this meal lacked the wow factor I had expected from the restaurant. Overall, our experience at HLL was a good one. There were no complaints and the food is a good example of home-cooked hearty breakfasts. Stop by if you’re in the area, even for the view alone!